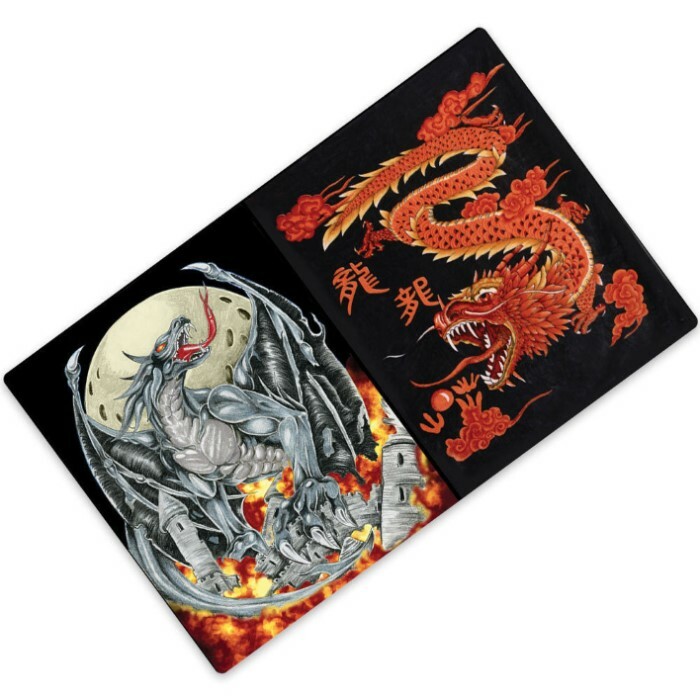 Fire Dragon/Chinese Dragon Reversible 2 Ply Faux Mink Blanket | BUDK.com - Knives & Swords At The Lowest Prices! Unleash the dragons with this heavyweight reversible fire dragon/Chinese dragon 2 ply faux mink blanket. The faux mink blanket is snuggly soft and will keep you warm as toast. If you get tired of one dragon, just flip it over and enjoy the other one for a while. Measures 79" x 96" overall.